Former national security adviser Michael Flynn was charged Friday with lying to FBI agents while he worked in the Trump administration. Here's a breakdown of what's going on. 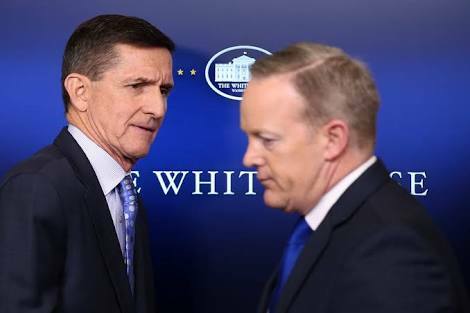 Flynn briefly served as President Trump's national security adviser. He resigned from his position in February, amid revelations that he had misled Vice President Pence and others about conversations he had with Russian ambassador Sergey Kislyak about sanctions before Trump took office. Flynn also served served in the Army for 33 years, eventually reaching the rank of lieutenant general before his retirement in 2014. He was the head of military intelligence as the director of the Defense Intelligence Agency in the Obama administration. Prosecutors alleged Flynn “did willfully and knowingly make materially false, fictitious and fraudulent statements” to FBI agents during a Jan. 24 interview about his conversations with the Russian ambassador. According to the allegations, Flynn falsely told FBI agents that he did not ask Kislyak to delay a vote on a pending United Nations Security Council resolution. Flynn was considered one of the most vulnerable people in special counsel Robert Mueller's ongoing investigation into Russian meddling in the 2016 presidential election. He has made no secret of his desire for a deal to testify in exchange for immunity from possible prosecution. Who else has been charged in Mueller's probe? Former Trump campaign manager Paul Manafort and his associate, Rick Gates, were indicted in October for working on behalf of pro-Russia factions in Ukraine without registering with the Justice Department as foreign agents -- a legal requirement -- and laundering millions of dollars in profits to evade taxes. Additionally, George Papadopoulos pleaded guilty in October to lying to the FBI about his communications with people who represented themselves as tied to the Russian government.